Bible House is a heritage listed five storey building clad with smooth sandstone along Bathurst Street. It was custom built for the Bible Society in 1938, in the Interwar style with Art Deco influences. 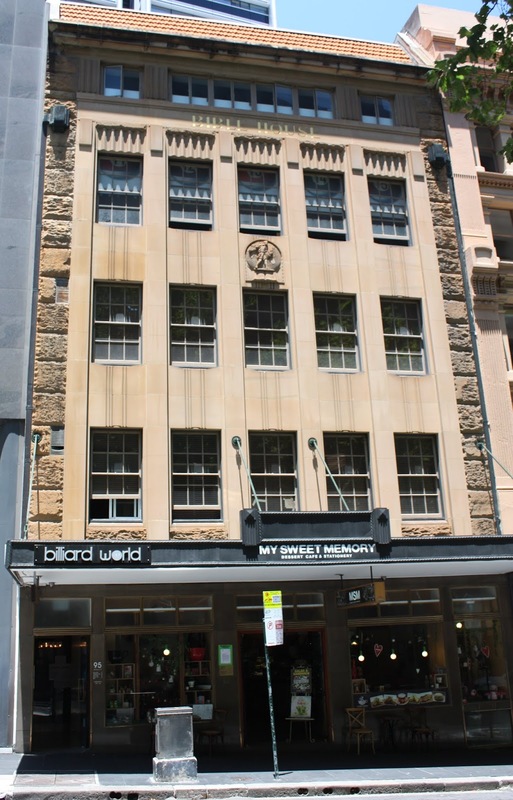 The Bible Society is a religious institution established in Australian in 1817 and this has been a meeting place for members and administrators since it was built. This reminds me of some buildings here. It has a pleasing style. Hello! I've been following your site for a long time now and finally got the bravery to go ahead and give you a shout out from Dallas Texas! Just wanted to mention keep up the great job!